Spring is really and truly finally here! Open the windows, air out the house, let the spring cleaning begin. 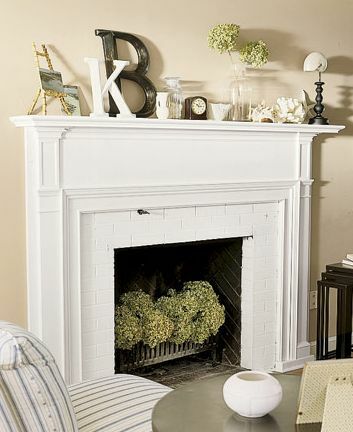 And while you’re opening, airing and cleaning, don’t overlook your fireplace. I don’t know about yours, but mine worked a lot of overtime this winter. It looks something like this at the moment. It is dirty, tired and smelly. This is not very nice to come home to. 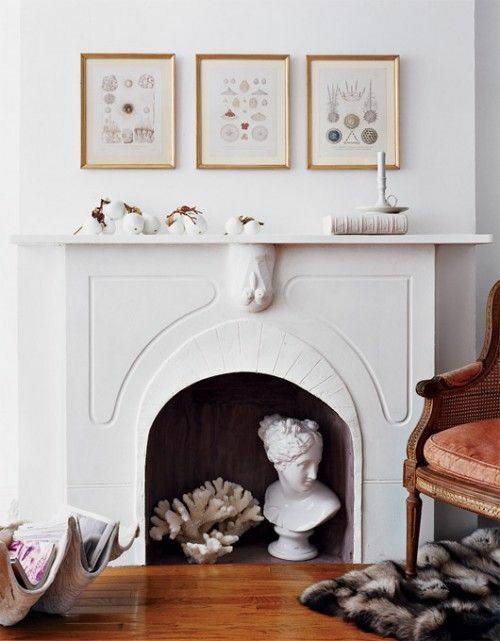 And since many of us have fireplaces in the rooms we spend the most time in, why not make them pretty for spring and summer? First, start with a really good cleaning. There are some instruction to get you going here. This is not a fun job, but you will be so very happy that you did and you will no longer be greeted by that sooty smell. Now that it’s clean, let’s turn that black hole into something a little more appealing. The first thing that comes to mind is a beautiful green plant. 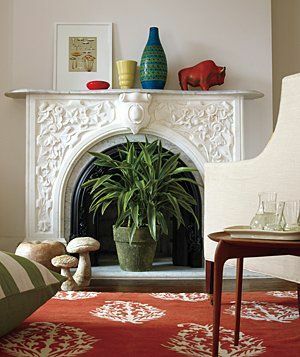 Ferns are always pretty and will bring a wonderful, spring-like feeling into any space. Other plants can work just as well. Isn’t that much nicer to look at than a dark, empty space? This works equally well for you, gas fireplace folks. 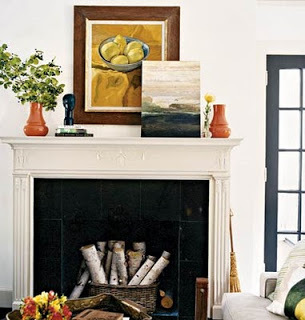 A lovely green plant on the hearth will absolutely brighten things up. If a plant is not your idea of fun, how about a basket full of logs? for something more unique and modern. They look so fresh and pretty in this fireplace grate. White objects can really brighten up this otherwise dark area. 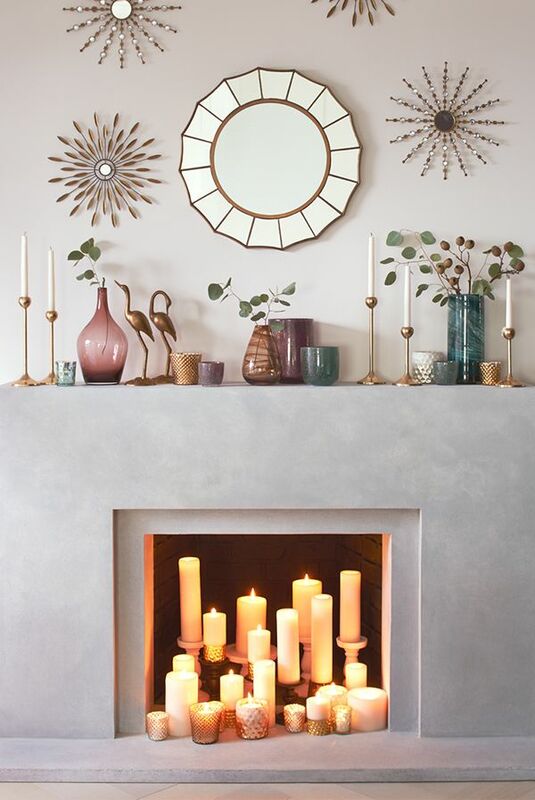 And if you still want that cozy fireplace glow in the warmer months, candles might be the perfect solution. 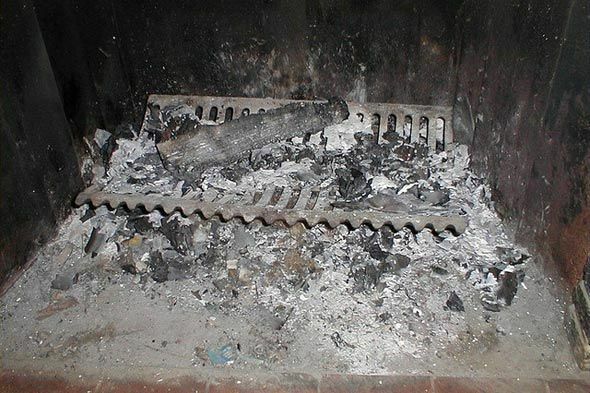 However you decide to let your fireplace shine this spring and summer, remember that amost anything is better than 6 months of dirt and ashes. 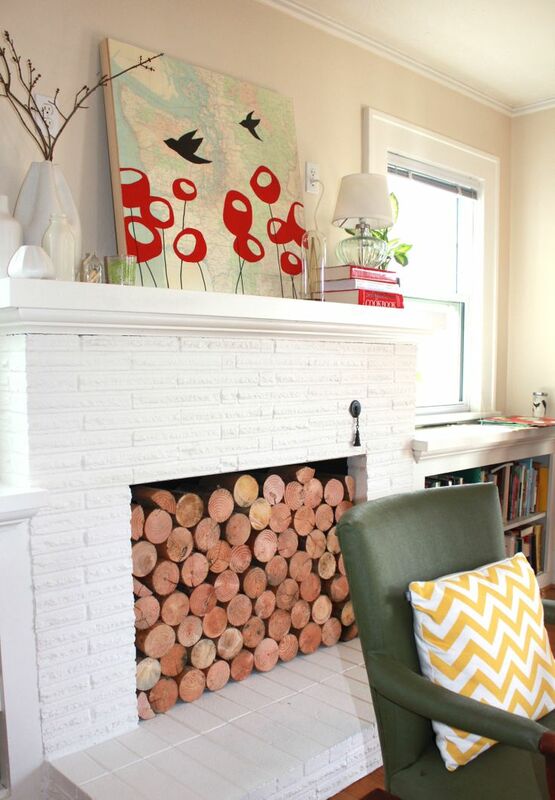 So give that fireplace some springtime love and enjoy it as much as you did this winter! I love all your ideas. I have to go make sure my fireplace looks good.